Russia, the largest country of the world, has over 83 million active internet users and high smartphone engagement. But how does the internet connected tech-savvy population uses QR Codes in Russia? This was way back in 2012. Things have changed since then. Now QR Codes are used in e-commerce, advertisements, architecture, and transport in Russia. The Russian currency notes, Rubles, bear a QR Code. In 2017, the Central Bank of Russia and the National Mint Goznak unveiled QR Codes on 200 and 2,000 Ruble notes. The aim behind adding QR Codes to Russian currency was to get the banks and businesses to upgrade their technology. 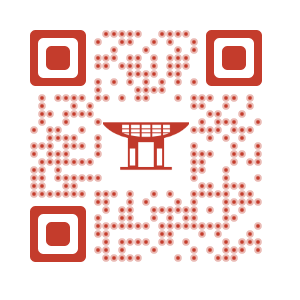 These QR Codes direct the users to the Central Bank’s official website. The site provides information such as security features and overall design of the notes. Not everyone in Russia uses a latest model of smartphone. Rather, they have a very democratic smartphone market. This makes space for e-wallets based on QR Codes and not NFCs (Near Field Communication). So QR Codes are used widely to make payments in Russia. It is the leading service for accepting online payments in Russia as per MARC’s survey, 2016. Also see how statistics indicate the soaring use of QR Codes worldwide. Russians will be able to transfer money via messengers and social networks with a QR Code by 2019. FinTech association under the Bank of Russia is developing an app to make it possible. This option will emerge as an alternative to over-the-phone money transfers. The users will generate a QR Code in the app, add it to a bank card, and save the changes. To transfer the money, the user will open the QR Code and select the channel of transfer (messenger or social network). Next, the user will enter the recipient’s account number to deposit the amount in his bank. The experts predict this to boost the cashless transactions by almost 40%. 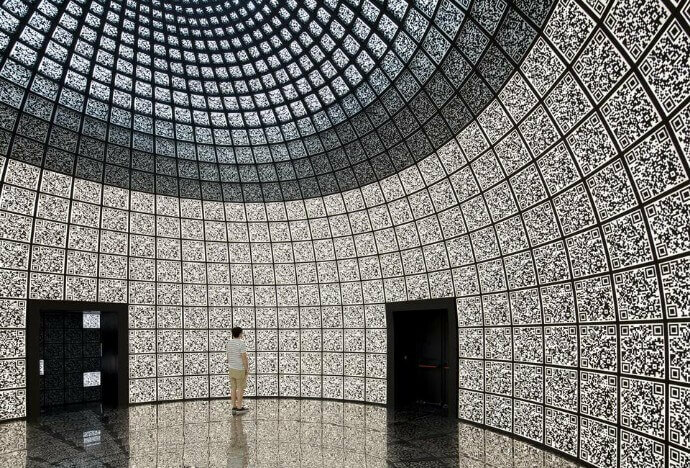 In Aug 2012, Russia opened the futuristic QR Code encrusted Pavilion at Venice Architecture Biennale. Every inch of the pavilion—floor, walls, ceiling— is covered with QR Codes. The visitors can access the virtual exhibition with a tablet. These QR Codes reveal the plans for Skolkovo city, dedicated to science and technology. The tickets for the train—Moskva— feature the train on one side and a QR Code on the other. Only 6000,000 such tickets were printed in Apr 2017. The QR Code is for a mobile app with augmented reality technology. The app allows users to transfer the digital model of Moskva train to anywhere in the world. 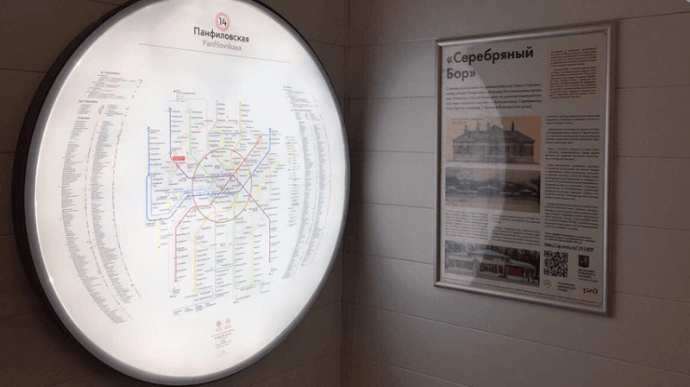 Moscow Central Circle (MCC) has put up Railway History posters and QR Codes at stations. This helps the passengers see what these stations looked like a 100 years ago. The QR Codes help passengers download the information on history and construction of MCC. They can then read this downloaded information while on their journey. The heritage sites in moscow have QR Codes printed on the fence. These QR Codes reveal the site’s history. One can scan the QR code to find the information as text, images, and maps. It also provides an audio option that allows you listen to the text. 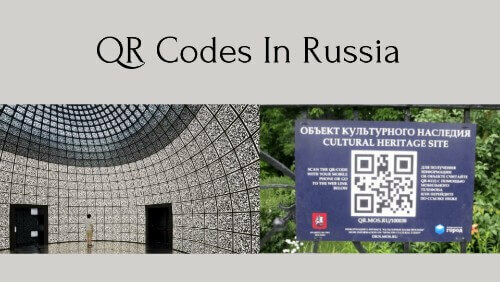 These examples show wide use of QR Codes in Russia. The QR Codes are versatile enough to direct the users from print media to online content. If you’re a marketer and you want to run a campaign in Russia, QR Codes are the ‘way to go’ for you.